GSGBC is committed to helping youth make healthier choices for a lifetime. Focus areas include obesity prevention through nutrition and increased physical activity, conflict resolution, and safety. GSGBC works to make the healthy choice the easy choice. 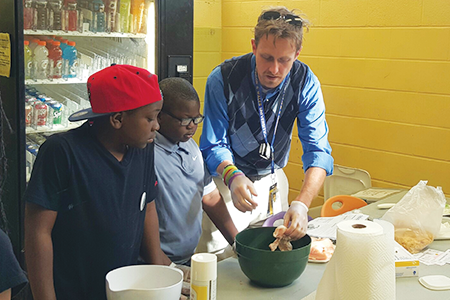 Operation Food Search provides Cooking Matters classes in GSGBC’s fully-equipped commercial kitchen. 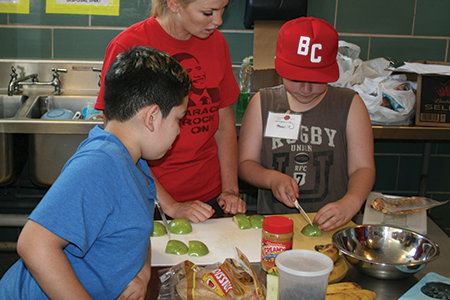 Cooking Matters connects youth with food by teaching them how to prepare healthy, tasty meals on a limited budget. Classes meet for two-hour blocks, once a week, over the course of six weeks. The garden is located in the back field area of GSGBC. Youth participate in activities such as planting, watering, weeding, and tasting the vegetables and herbs produced. Gardening activities help to build self-confidence and a greater appreciation of our environment. In addition to the garden, GSGBC has a chicken coop. Members feed and take care of the chickens and collect the eggs. Ask any staff member about buying a dozen the Club’s eggs. In 2016, GSGBC added a Monarch Butterfly Garden in support of Mayor Slay’s Milkweeds for Monarchs: The St. Louis Butterfly Project. 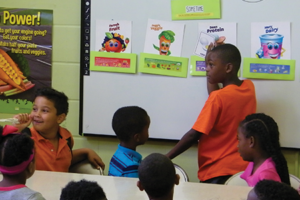 GSGBC participates in a federally-based program that provides healthy snacks and a hot dinner for the After-School program. In addition, breakfast and lunch is provided to each member in the summer to ensure that no child will ever be hungry while they are in our care. 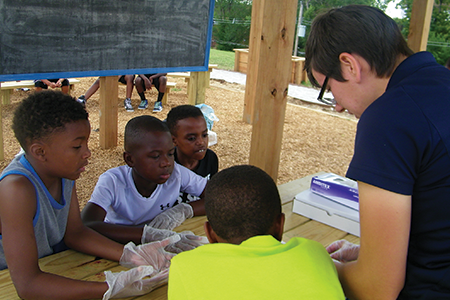 GSGBC uses the C3 curriculum, which designed by Columbia University Teacher College, to engage youth in hands-on investigations of our food system and how to use scientific evidence to make healthy food and activity choices.